Summer Camps at STEM World = STEM Camps! Designed for our youngest scientists, this camp provides a range of exploratory, hands-on activities to capture the imagination and stimulate curiosity! Future astronauts! Campers will be challenged in this astrophysics camp to set up a human colony on the Moon! Robots are everywhere! They drive cars, explore planets, automate factories, clean homes, and are part of our daily lives. In this camp students will develop their robotics and inventor skills. They will experience 3D design and make a 3D printed product, explore engineering challenges. Human civilization must be saved! A team of expert scientists imagine and build their own virtual time machine to travel back in time to learn the secrets of ancient civilizations. Learning the science/tech behind superhero powers! This camp is devoted to designing, constructing, and testing superhero projects. Join our winning team and discover the science behind sporting achievement! In this camp, they will learn about anatomy and physiology as it relates to sport and exercise. The BEST all-in-one STEM-education and resource center in the U.S.! Onsite, year-round STEM workshops, labs and camps. Real laboratory and technology MakerSpace in a 2000 sq.ft. state-of-the-art workshop. Cutting-edge science and technology retail products. Experience STEM like no place on the planet! Sign up for our mailing list to stay up-to-date about STEM World programs, products, news, events, and more! See what other parents are saying about STEM World! Share with us and an expert in their field (6:30-8pm). Register for these STEMtastic courses. International Student Camps! Get more details. Our holiday and summer camps encourage future scientists and engineers to think, create and innovate. After-school, 8-week programs. Engaging hands-on activities with core STEM topics. Our program for home-schooled students. Workshops to spark younger kids' imagination. STEM Girls are heroes too. 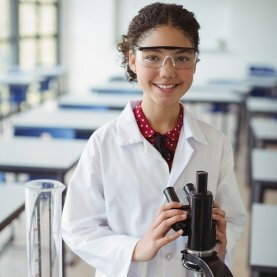 Boy-free science, engineering and technology workshops. Cinema Lab, Drone Academy & Aviator Lab for the innovative spirit. 3D printing, CNC & Makerspace equipment classes. A unique workshop series to showcase the magic of science, and the science in magic, to combine for a truly “STEM-magic” experience.